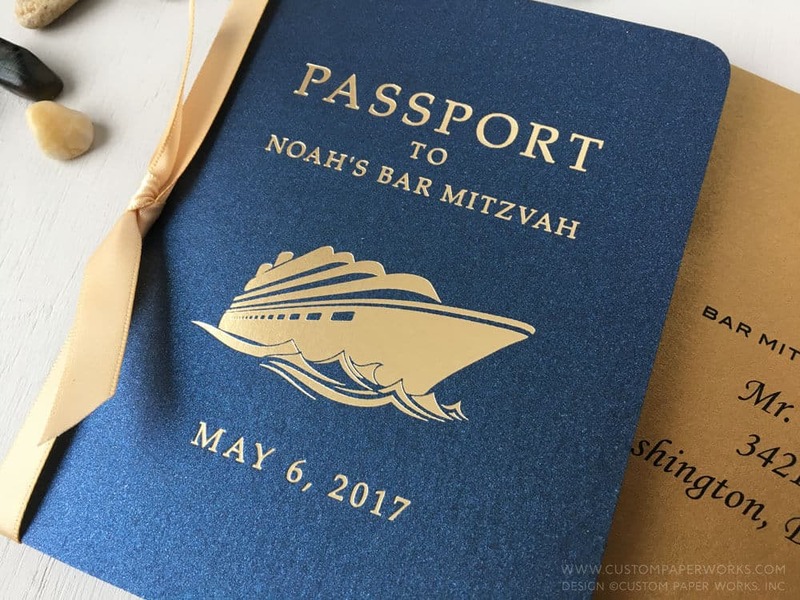 This new cruise theme Bar Mitzvah passport invitation is based on a design we created for a previous client. 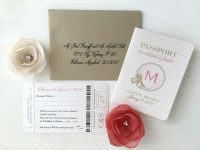 Many of our invitations are fully custom-designed from scratch, but our clients frequently fall in love with a previous design, and request something similar, tweaked to match their celebration decor plans. Sometimes it takes a few questions and inspiration photos to figure out the best things to change. 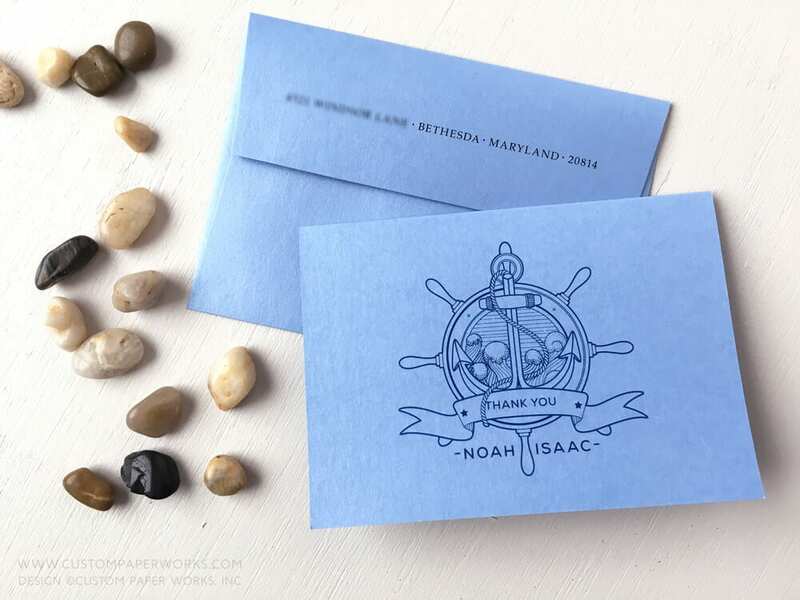 That’s an expected and normal part of the custom-design process – your invitation should be YOURS in more ways than just putting your name on it. 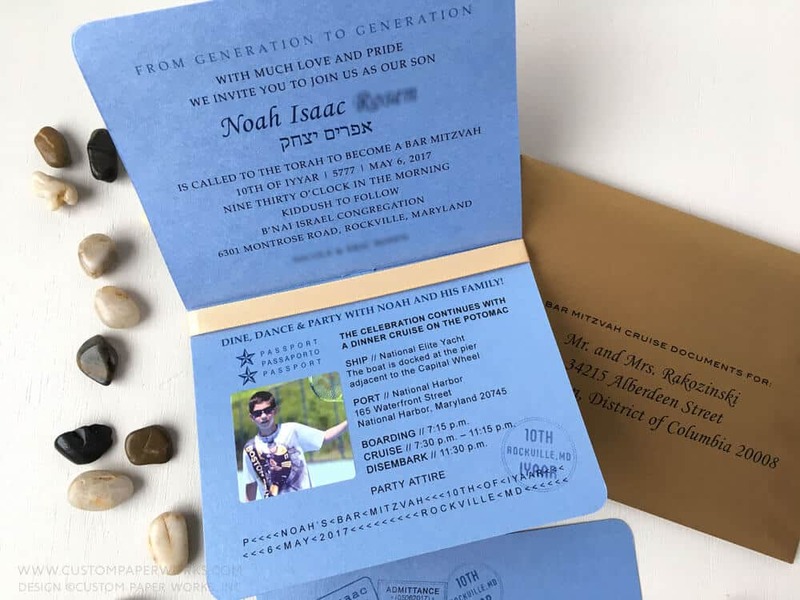 While you may be thinking “I want it JUST like that!” (and sometimes that’s exactly true) – I’m still always thinking of ways we can make them “the same but different” – so they are truly uniquely your invitations – and NOT like anyone else’s. No worries. 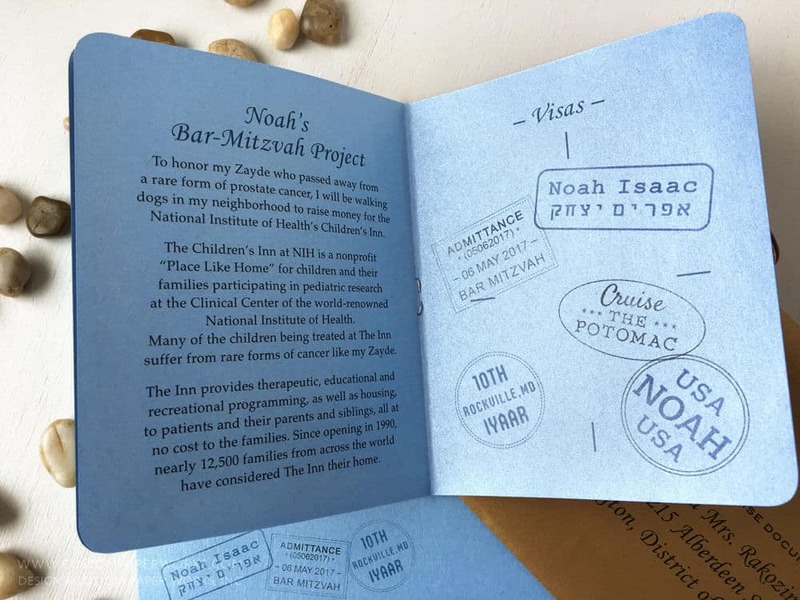 With mom’s idea of adding details about his very generous Bar Mitzvah project benefitting The Children’s Inn at NIH, and my idea of including a page that looks like a stamped page in a passport, we filled all the pages with both useful information and fun details that made it very personalized. Another area we worked on “same but different” was the front cover emblem. Mom asked if it was possible to include some waves or water somehow, so a new emblem was created. 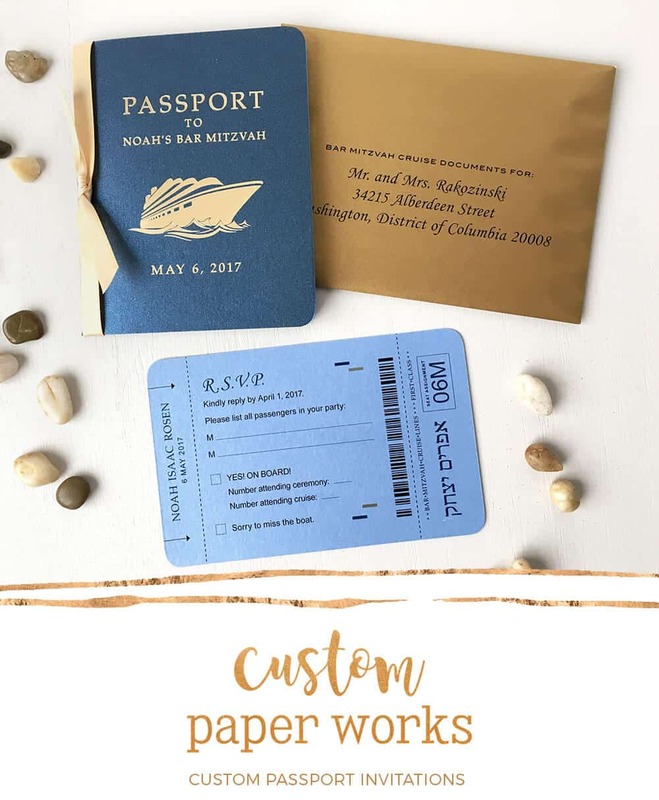 Then we imprinted it with MATTE GOLD FOIL. So unique, masculine, and luxurious-looking. 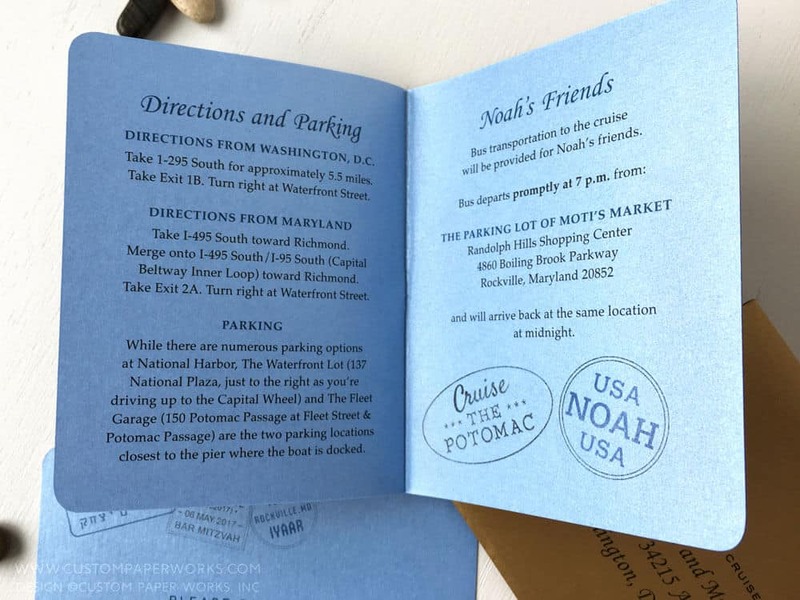 #nofilter #noretouching for the photo below that also shows the subtle texture of the navy blue shimmer card stock used for the covers. 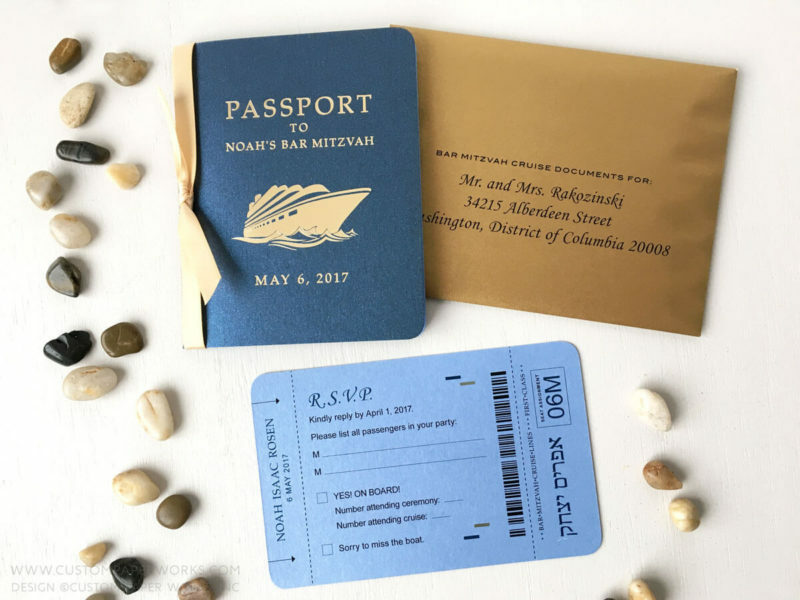 How can we make your mitzvah invitations stand out from the rest?